Rent a private jet to Pittsburgh, a major metropolis in Allegheny County and the second largest city in the state of Pennsylvania. Pittsburgh is home to several airports that can accommodate charter flights on any aircraft, and it’s the most popular destination for business jets in both Appalachia and the Ohio Valley. 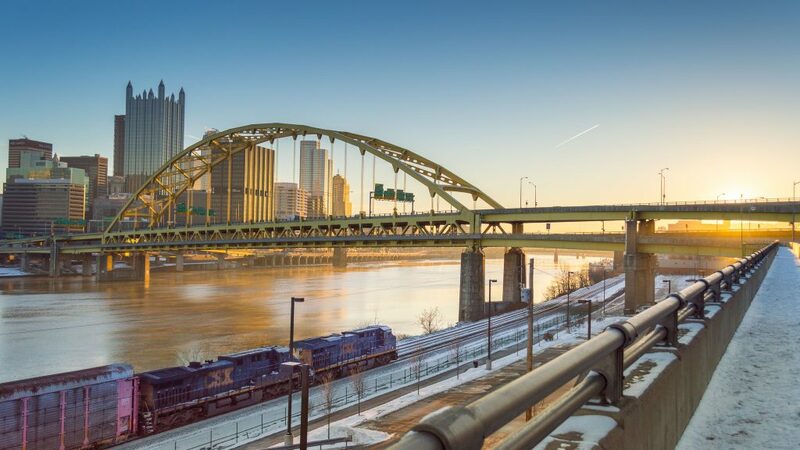 Located at the meeting point between the Allegheny, Monongahela, and Ohio Rivers, Pittsburgh is known as both “the Steel City” thanks to over 300 steel-related businesses, and the “City of Bridges”, with a total of 446 crossing its three major rivers and a countless number of hills and ravines. 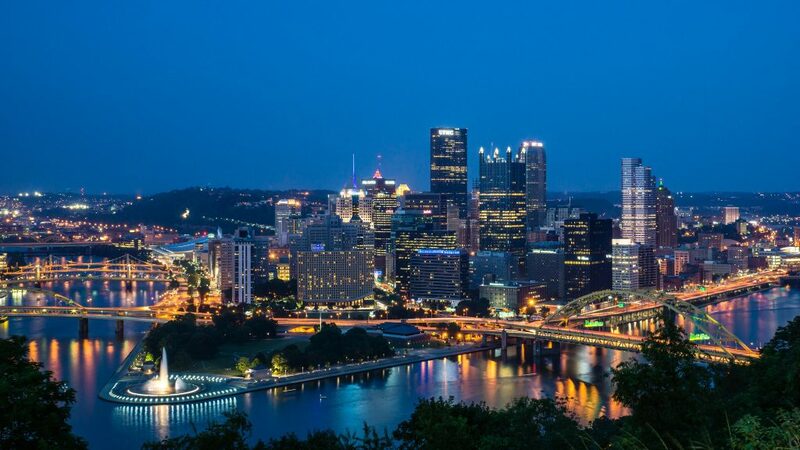 Air Charter Advisors arranges private charter flights to Pittsburgh, PA and surrounding areas of southwestern Pennsylvania. Enjoy instant access to thousands of private planes located in Pittsburgh or your area, along with competitive rates, all-inclusive quotes, and the highest safety & services levels in private aviation. Every broker claims to focus on safety, but how can you tell they’re actually putting in the work and take it seriously? Not every broker has access to the tools needed to present proper, well-maintained aircraft from certified operators for every flight. Some brokers may even cut your charter cost by using poorly maintained planes, operators without proper accreditations, pilots with limited experience, or worse: all three. Working with a Pittsburgh Air Charter Advisor means you’ll have a Wyvern-certified broker available to arrange all of the details for your upcoming charter flights to southwest Pennsylvania. Using third-party safety and maintenance audits, we review both aircraft and operator history to determine which private jets, turboprops, pistons or airliners best suit your flight. We also hold pilots to higher standards, requiring extensive experience as pilot or second in command of the aircraft make/model you’re flying in. Our aviation services extended around the world, and include medical flights, jet card memberships, aircraft acquisitions/sales, empty leg charter flights, one-way routing and private jet marketing & management. We can also complement your private flight by arranging luxury concierge services such as ground transportation, yacht charters, helicopter rentals and more. Give us a call at 1-888-987-5387 and speak with one of our Wyvern-certified brokers about your upcoming flight to Pittsburgh and surrounding areas of western Pennsylvania. When flying private to the Pittsburgh area, you’ll have 7 airports within 25 miles to choose from, with all but one of them offering a full-service private terminal with FBO service/facilities for luxury travelers, aircraft, and flight crew. Depending on the aircraft, scheduling, and other factors, it may be more cost effective to use a specific airport for your flight. Discuss all of the airport options with one of our Pittsburgh jet charter brokers. Pittsburgh and its surrounding metropolitan area is home to 2.4 million people, and was one of the most important U.S. economies during the 20th century when it had the most U.S. stockholders per capita, and only Chicago and New York outpaced it regarding corporate headquarters employment. The city began as a vital link between the Atlantic coast and Midwest, and the mineral-rich Allegheny Mountains. Development over the city’s rolling landscape resulted a variety of unique neighborhoods, and its unique combination of diverse ethnic/architectural heritages, steep hills, broad rivers and numerous bridges make it one of the most scenic cities in the United States. Aside from steel, Pittsburgh has been an manufacturing leader in a variety of industries, including aluminum, glass, shipbuilding, petroleum, foods, sports, transportation, computers, autos, and electronics. Today, major companies including Google, Apple, Bosch, Facebook, Uber, Nokia, Autodesk, and IBM are among 1,600 technology firms in Pittsburgh. It’s also home to the headquarters for federal agencies in cyber defense, software engineering, robotics, energy research and the nuclear navy. The city maintains a rich history and an unusually large number of cultural treasures thanks to extraordinary amount of wealth generated while was a major industrial hub. It’s also home to a thriving sports scene, home to the Pirates (MLB), Penguins (NHL), and Steelers, one of the most successful franchises in NFL history. De-industrialization swept the land in the 1980s, leaving thousands of blue and white-collar workers unemployed. The city has easily rebounded with an array of renowned museums, top-notch medical centers, tons of parks and greenspaces, high-tech research centers, a diverse cultural district, and the highest number of bars per capita in the country. The region is also home to 68 colleges and universities, including leading research and development centers at Carnegie Mellon University and the University of Pittsburgh. 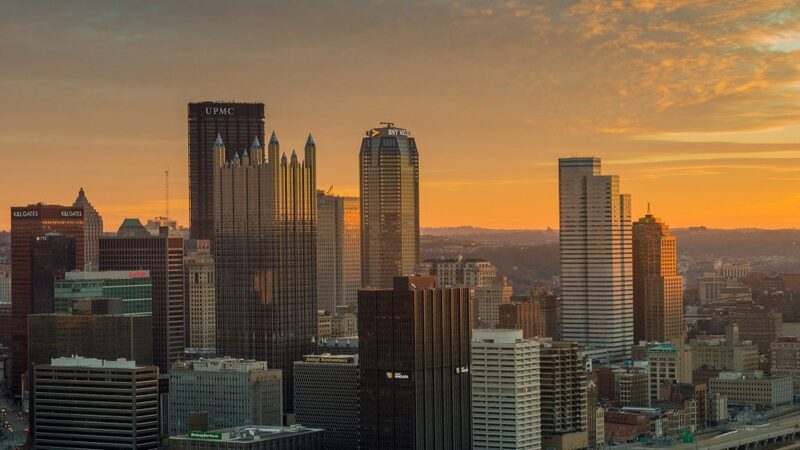 When arranging your charter flight to Pittsburgh, you’ll enjoy access to the following private planes located across the country, including private jets, turboprops and piston aircraft based at Allegheny, Butler, Greene, Washington, and Wheeling County airports. Every plane is designed to perform specific missions, and can vary greatly regarding passenger size, range, baggage space, and other factors, even within the same aircraft category. Having ACA provide you with aircraft options takes all of the guess work out of it by selecting the best planes for your flight that fit within a variety of budgets. Speak with one of our brokers about the aircraft options available for your flight, and if you don’t see you preferred plane listed below, one of our brokers can attempt to locate one within your area. Clients can choose to arrive/depart using one of the following airports located between 25 – 50 miles from downtown Pittsburgh. Many airports present an opportunity to fly closer to your home or business, while others may reduce the cost of your Pittsburgh charter flight. Speak with one of our flight support specialists to review all pf the airports options for your flight. Request a Quote or give us a call at 1-888-987-5387 to speak with one of our Pittsburgh Jet Charter brokers. Give us the details for your trip, and we’ll provide you with all-inclusive quotes on the best planes available for your charter flight to/from Western Pennsylvania.